The OppLoans Fun & Frugal Halloween Giveaway! Let us know how you plan to cut costs this Halloween and you could win $100 on Facebook and Twitter! Let us know how you plan to financially prep for the holidays and you could win $100 on Facebook and Twitter! Share YOUR retirement savings tips with us, and enter for a chance to win $100 that you can add to your savings! Tell us your favorite way to spend a frugal fall afternoon, and you’ll be entered for a chance to win $100 on Facebook and Twitter! 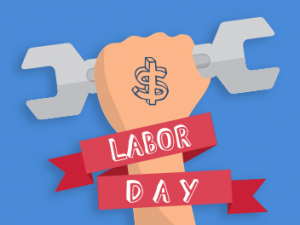 Tell us about your plans for a fun and FRUGAL Labor Day celebration on Twitter and Facebook and enter for your chance to win $100! What are your best tips and tricks for saving on back to school costs? Let us know on Twitter and Facebook for a chance to win $100! Share your best money-saving travel tip with us on Facebook and Twitter for a chance to win $100 to put toward your next excursion! What’s the best money lesson you ever learned from a movie? Let us know on Facebook and Twitter for a chance to win $100! 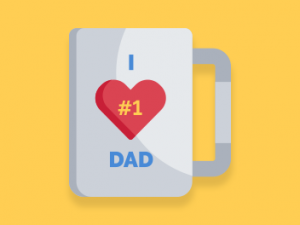 Head on over to Facebook and Twitter and pass along the best money lesson your dad ever taught you for a chance to win $100! The OppLoans Summer #FunMoney Sweepstakes! What’s your plan for making some extra cash this summer? Tell us about it on Facebook and Twitter for a chance to win $100!